We have come to the end on this series of change and I hope you all feel ready to take a brave step into the new season that God is calling you to. “Today you stand at the threshold of a new beginning. All that is around you will change and all that I have planted within you will now grow and bear fruit. For I have great things in store for you, things no one has ever proclaimed to you. Many speak of the rain that will soon fall, but I say, it will be a DOWNPOUR on you! Many speak of the fire, but they have never been consumed. But with you, My fire will rage and not be contained by the structures and theories of men. There are many who wish for a new day, but you will be lifted suddenly into a season beyond your imagination or your dreams. For it will be MY dream that will be fulfilled in your life. Many scoffers will be swept into My presence and become believers in one day. Many doubters of My power will leave their limitations and pursue ME as never before. The time of the great OUTPOURING upon the nations is near. It will be a day of repentance and a day of gathering. Those who ignore My truth will be ignored. Those who refuse to gather themselves together will be scattered even further. For I will be worshipped in SPIRIT and in TRUTH. I pray with great faith for you, because I’m fully convinced that the One who began this glorious expression of grace in you will faithfully continue the process of maturing you through your union with Him and will complete it at the unveiling of our Lord Jesus Christ! I have claimed this for myself. I am ready to be lifted into a new season that is beyond my wildest dreams. I am ready for the downpour! I was looking back through old photos and video footage the other day on my computer. I loved watching the videos of my children, it reminded me of the sweet and funny little things that they used to say and do. I could see how adorable they were and how much they have grown and developed over the last few years. 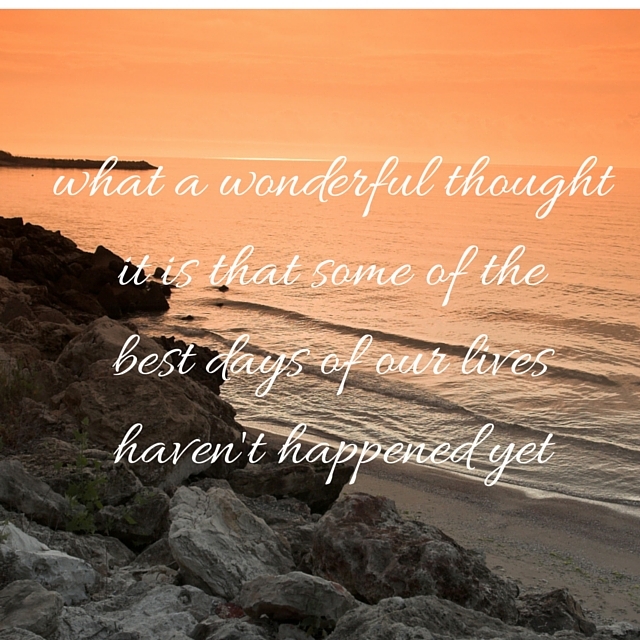 The past and all the sweet memories that it holds has gone and now we look to our future and isn’t it a wonderful thought that some of the best days of our lives haven’t happened yet. God is calling us into a season of change because what He has for us is far better then anything we have done in our lives to date. He is calling to us to renew our minds, to change our hearts, to step out in courage and to leave fear behind because we were born for greatness. He is going to do great things with us and through us. Greater things then anybody has done before us. Remember that as you begin on your journey of making changes in your life to look upon your past with fondness and look to your future with hope, for the best is yet to come. We can hold onto this promise of restoration as well. God will restore us, if we let Him. As we draw close to Him, as we take the time to sit at His feet and give Him everything we feel, think, and hold, He will will begin to restore us. He will take all the baggage from us and give us strength, courage, hope, wisdom and His unconditional love. God longs to see us restored and He longs to see us do greater things than have been done before because He is a good Father and all good Fathers love to see there their children grow and succeed in life. So I want to encourage you because the best is yet to come. Embrace the change that God is calling you to and watch and see as He leads you on to greater things. Sometimes we find ourselves in the middle of a season of change and we do not necessarily wish to be there. We are powerless to change our situation but we do have the power to change something and that is how you choose to deal with the changes you are facing. No matter your circumstances you have the power to choose the way you respond. You can choose to become bitter over your circumstance or you can choose to become better. I have recently walked through a season just like this. We made a huge change in our lives by choosing to leave home and head overseas for a year of study at a ministry school. Our time living and studying in the USA was amazing but it was also a very tough season for me. I was far away from home, from friends, from family and from familiarity. I was homeschooling my son and taking care of my little girl in a small apartment in a foreign city. Most times it was really hard and I even shed a few tears. On one hand I was going through something really difficult but on the other hand I was in this amazing place, a once in a life time opportunity and I had a decision to make. Was I going to let these difficult circumstances get to me and make me bitter? Or was I going to choose to rise above my difficult circumstances and choose to become better? I chose better and I am so glad that I did because I had so much breakthrough. I did so much learning and growing that in some ways I feel like a completely different person. Becoming better was a conscious choice that I had to make every morning when I got out of bed. Today I choose to be happy. 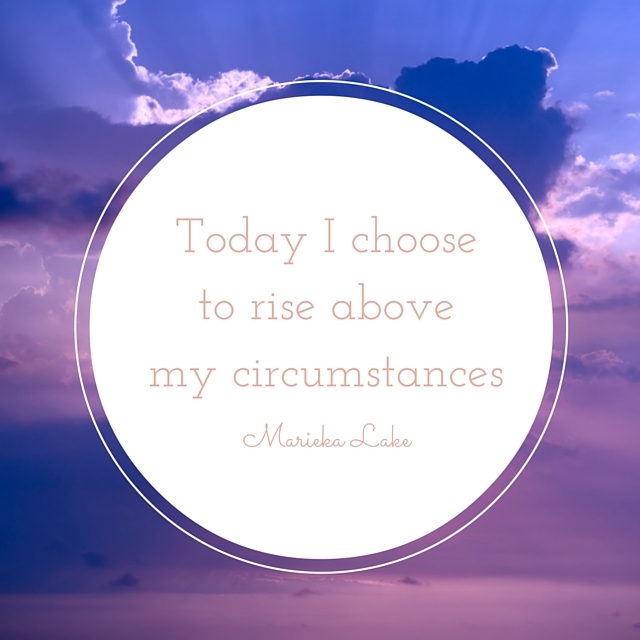 Today I choose to rise above my circumstances and become a better person for it. Difficult circumstances can often lead us down the path of questioning God. We start to ask why am I here when I do not want to be? Why is this happening to me? Where are you God? What do I do now? But we need to remember that God is a good God and He is never far away. Sometimes we find ourselves in these difficult circumstances because of our own choices or even at the hands of the enemy, but God will always be there to help us turn things around and even use the circumstances for good. If you choose to become better in your season of change God will be right there. Draw close to Him and listen to Him speaking. He will begin to teach you His wisdom and show you His power. You can begin to experience great breakthrough and learn and grow beyond your wildest imagination. Your circumstances may still be difficult but you will become better equipped to handle them. By drawing closer to God you begin to take on His courage, His strength and His peace and with Him you can handle anything. 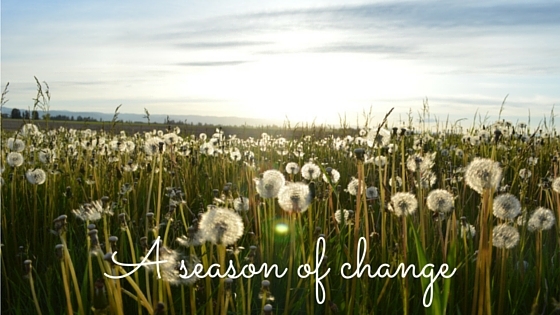 Your tough season of change could just end up being a life changing event and you have the power for that to happen. Choose to become better, choose to be happy, choose to grow in faith and wisdom and find your strength, rest and peace in almighty God. I love gathering in small groups to pray and share with one another. I am somewhat of an introvert, so the small group setting is more comfortable for me than a larger group. I love my small groups and I always look forward to gathering together. I heard the Lord speak these words to me recently about when we gather together “be encouraged not discouraged”. It got me thinking about the structure of small group meetings. So often when we meet in accountability settings we mainly focus on our failings, our down falls and the areas we feel that we need the most improvement. Our list of prayer points usually revolve around the things we need – more grace, more wisdom, more courage, more patience for we feel that we do not posses them. What if instead we focused on all the good things that are going on in us instead of all the negative things? Imagine if when we gathered in our small groups we shared with one another all the wonderful things we were doing, seeing and experiencing, What if we left out all the negatives and just focused on the positive things? We already know our bad points, our misgivings and our areas of failure and we can focus on them without a second thought but we often forget about all the wonderful stuff that is going on in us. Let us be encouraged and not discouraged. We need to change the way we think. Let us be a people that live for the positive. Lets encourage and build one another up. When we share with one another the first thing that comes off our lips are the positive things that are going on in us and not our areas of failings. When we pray for each other we begin by thanking God for all the amazing things He is doing for us and in us, we inject courage and hope into one another and we leave that prayer meeting feeling uplifted, and that we can do anything, instead of feeling so low and heavy about the things we are not doing. When we begin to focus on the positive we will actually see that we do have grace, wisdom, courage and patience they were just hiding among all our negative thoughts about ourselves. And this time when we are praying for more of these things it is with a sense of “yes Lord I want more” and not “oh Lord please help me for I am failing here”. Lord please help us to have the mindset of be encouraged and not be discouraged. Help us to change the way we think and to change the way we have always done things. 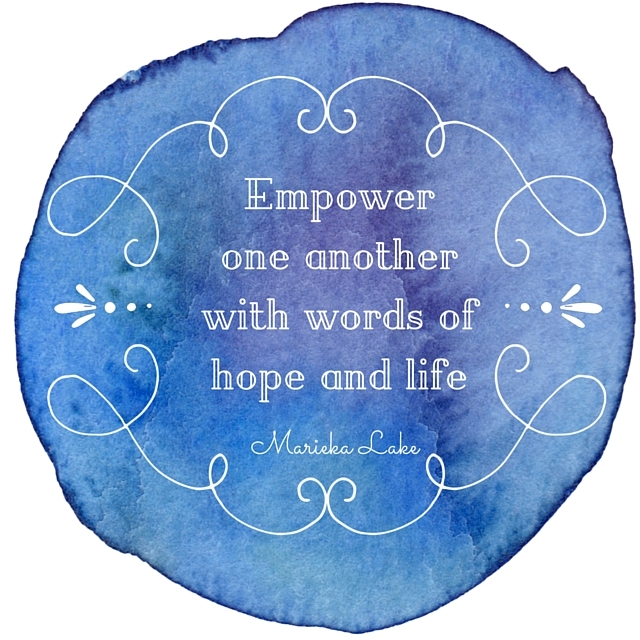 Help us to be a people who empower one another with words of hope and life. To see that you are moving and working in us and through us and to focus on these things and be encouraged. Amen. Do not be afraid of change. You may end up losing something good, but you will probably end up gaining something better. I came across this quote as I was mindlessly scrolling through internet land one day and the words stuck with me. This seems to be the story of my life. Over the years I have gone through so many changes and with each and every change that I have made I have lost something. I have lost ground on friendships, let go of possessions, homes and jobs, lost ground in my professional career, lost money and countless other things but even as I recount all of the loss I have experienced I would still go through those changes all over again. Even though I have experienced so much loss I have gained so much more. I have met many wonderful new people that have become more like family than friends, I have learned to fully rely and have complete faith in my great big God to provide all of my needs and He has not failed me once. I have seen the world and gone to places I never imagined I would, I have become more intimate with my Heavenly Father and grown closer to my husband and children as we have traveled together and walked through this crazy little life of ours. New opportunities to work and serve have opened up before me, opportunities that would never have come my way if I had of remained where I was and never made any changes in my life. My little family and I have gone through many changes, small changes and mighty big changes and with each and every change we have lost things but we have gained so much more. When God is calling you to step into change and let go of something, I encourage you to do it, to follow His voice because what He has for you is so much better, grander, exciting and life changing than you can ever imagine. Do not be afraid and hold firm to His promises. You may end up losing a few things along the way but what you gain will be a whole lot better.